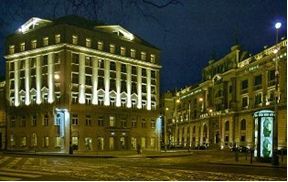 The 987 Prague Hotel is a fabulous hotel located in the historical heart of Prague. Established in 2006 this brand new hotel is part of the Design Hotels Collection. 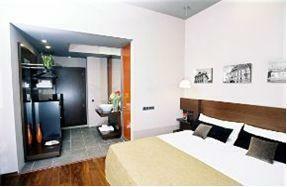 The 987 Prague Hotel provides 80 rooms all fully furnished and equipped with en-suite bathrooms. Business center, dining room, dry cleaning, disabled facilities, meeting rooms, concierge services, valet parking, hotel parking, internet access, conference facilities, 24 hour reception and bar. The hotel is situated within walking distance of the main railway station of Prague's city center and just thirty minutes car ride from international airport Prague Ruzyne. From metro station Hlavní nádraží situated 2 minutes walk away from the hotel take a metro (line C) and go 3 stops to the metro station Vyšehrad. Prague Congress Centre is located next to the metro station. The journey should take up to 10 minutes.